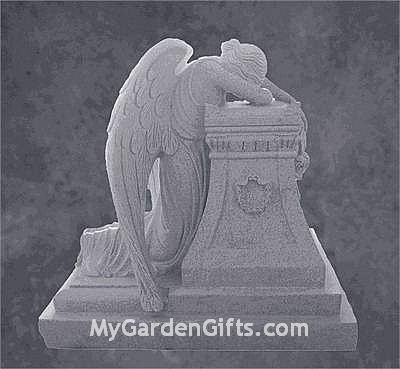 An angel weeps in this beautiful sculpture designed as a monument and to mark the passing of a loved one. The sculpture is also suitable for a park or as a memorial. Created in white marble or granite, and is hand carved by artisans. The sculpture is available in many dimensions. Please advise how high you wish the statue to be. Please email us for more information.